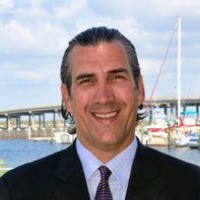 Dave Gustafson is Executive Director for the Downtown Development Authority, City of Bradenton. Dave is an experienced Urban Planner, Project Manager and Land Developer with an extensive background in property acquisition, site design and site development / redevelopment. His diverse work experience and employment history ranges from Manatee County Government, ZNS Civil Engineering and Benderson Development. Recent Community Projects: Dave was the Project Manager on the City of Bradenton’s 6.2 million dollar Riverwalk, helped broker the deal on the 16 million dollar Pink Palace 119 room Hotel renovation. David has been heavily involved with the Bi-County rowing initiative. Dave Gustafson has volunteered for the last 3 years at Nathan Benderson Park and worked with the design team on park operation. He was the Project Manager at the Ft. Hamer Rowing Facility, where Universities such as Harvard are training. He also helped start three High School rowing teams in Manatee County. Dave has three children named Meagan, Lindsey & Ian. Meet Dave Gustafson and other local and national leaders at the 3.0 Leaders Conference, April 2015.